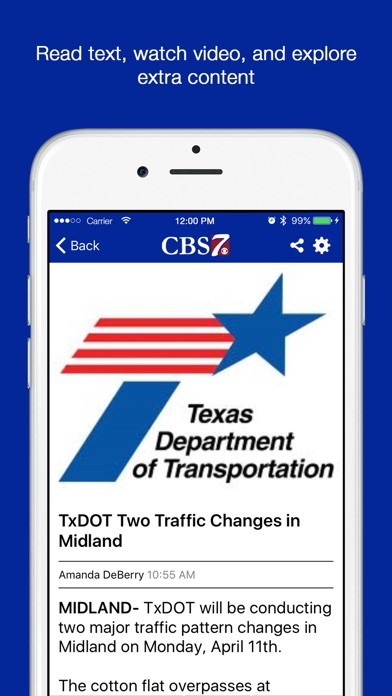 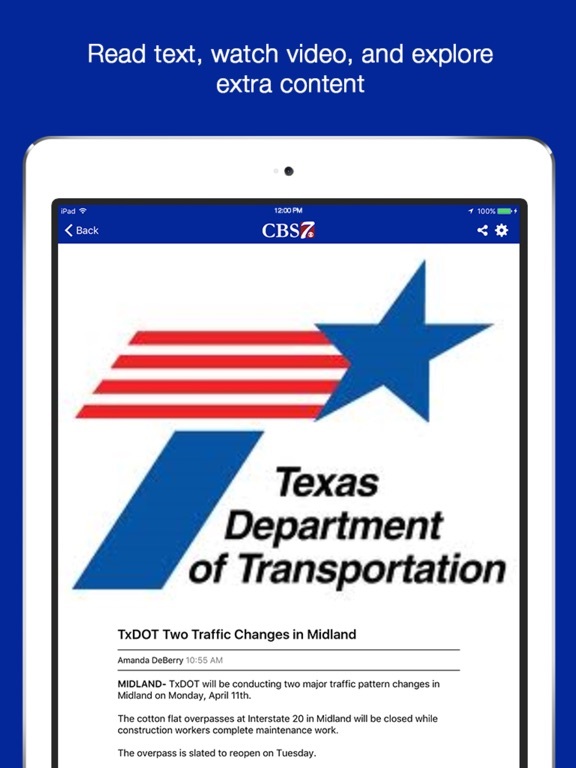 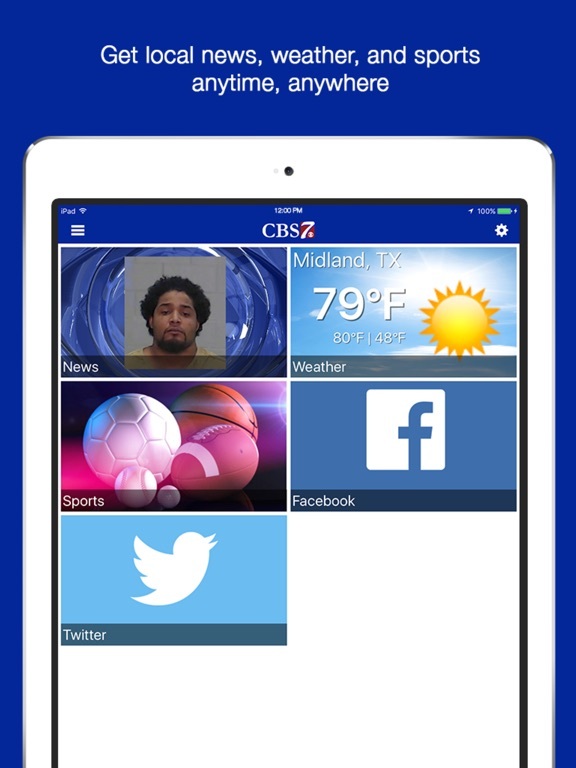 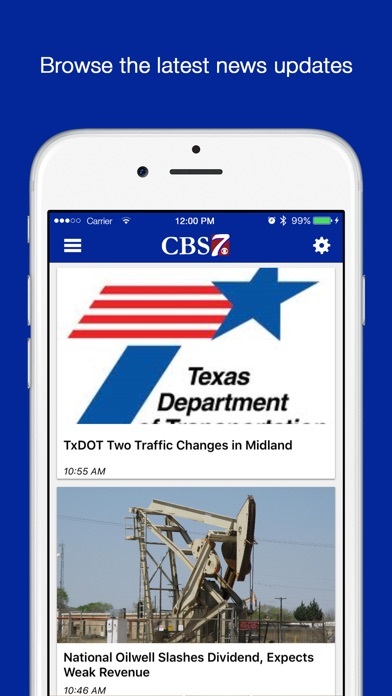 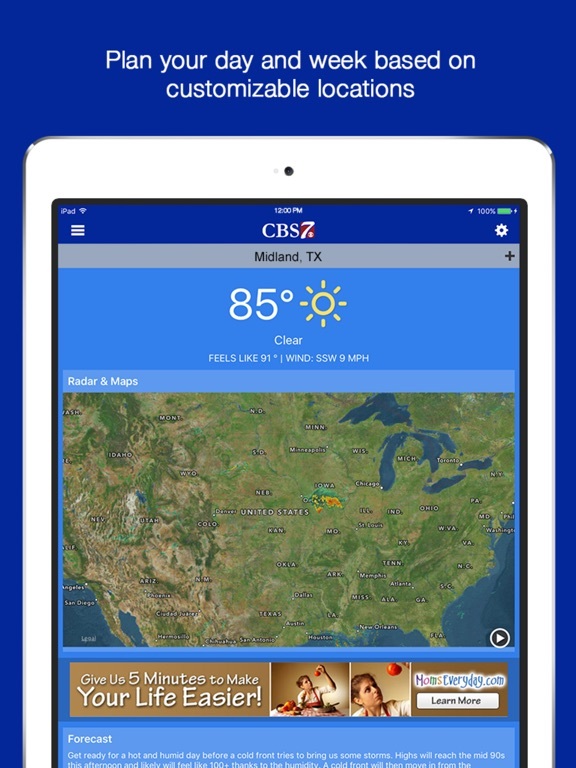 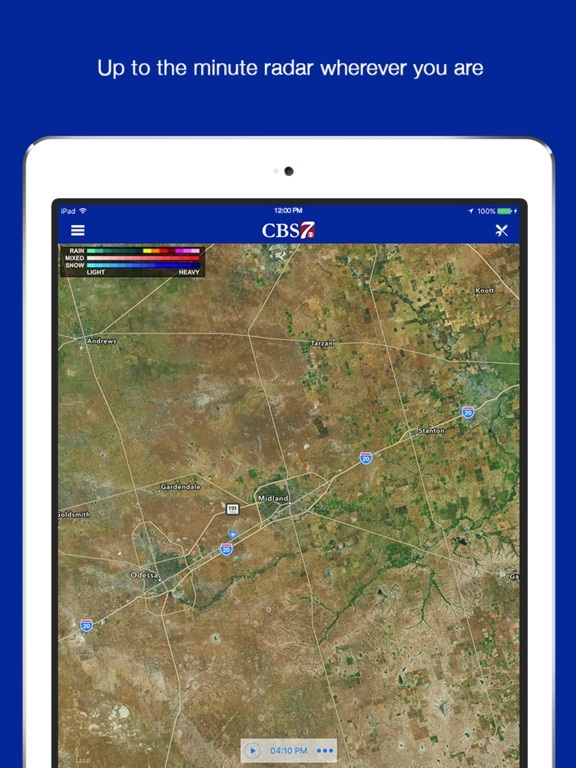 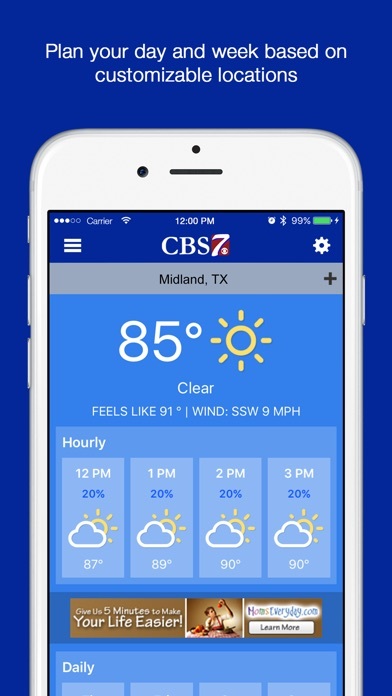 Stay on top of all the latest West Texas news, weather and sports with the free KOSA CBS 7 News application. 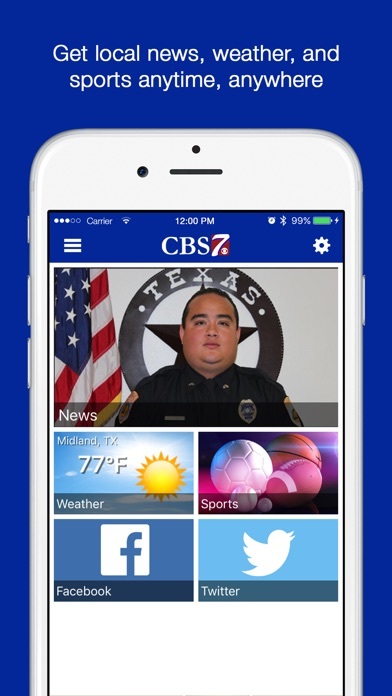 The KOSA CBS 7 News application provides award-winning coverage of local, national and world news. 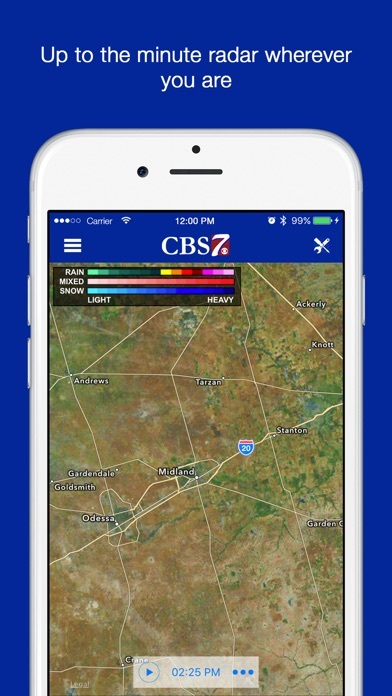 You will have immediate access to the latest stories and videos from the CBS 7 Newsroom, and up-to-the-minute breaking news and weather -- all at your fingertips. 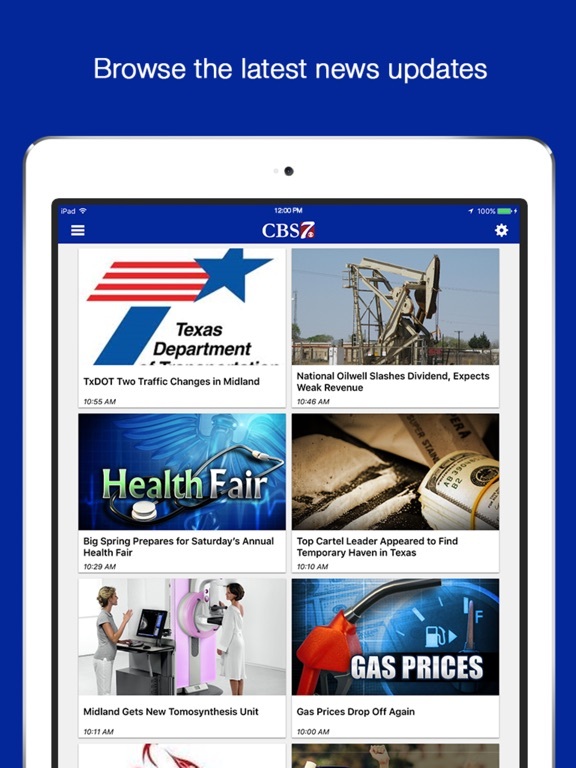 You can even share those stories with family and friends via e-mail, text message, Twitter and Facebook!